Our business model is simple... have the best and most experienced coaches, set the highest training standards, study and understand the rules, review and implement the most effective training systems, create a positive, safe and effective training environment and demand discipline and accountability from coaches, athletes and parents. With this mission Rhythmic Academy has become one of the top Rhythmic Gymnastics competitive programs in the United States. 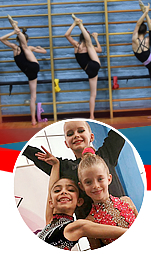 We attract and hire the best and most competitive coaches and have developed many State, Regional and National Champion gymnast. Below are some things our customers are saying about our program. Amazing just amazing... First all the coaches are very nice and very knowledgeable, second the gym has good amount of space and a small teacher to student ratio, third the training style is very effective to get gymnast to the highest level! My wife and I love the discipline and attention to detail, the fact there are so many very talented girls in the gym to look to for inspiration. My daughter has been attending Rhythmic Academy for the last 6 months and is completely in love with this sport. She used to go to another gym in North Hollywood but we didn’t see any progress so we switched, in one month at Rhythmic Academy she learned more than the entire year she spent at her old club. She now can do full splits, cartwheels and walkovers, lost weight, gained confidence and is very excited about going to her practice and learning new things. Thank you Rhythmic Academy for building such an amazing environment, we look forward to her transitioning to the competitive team. 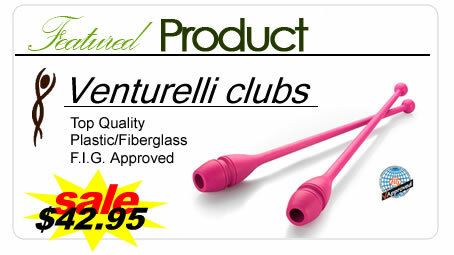 5 stars and highly recommended. Thank you, Yelena, for finding us and bringing us to your gym. Thank you for recognizing talent in and believing in our daughter. Thank you for investing in our family. Thank you for teaching her what it means: to believe in herself; to challenge herself; to fail and get back up and try again; to expect something of herself; to recognize that she will only get out what she puts in; to work for something she wants; to have fear, face it, and beat it back, over and over again; to know the reality of consequence; to be a good sport; to trust another person to help, even when she is being criticized; to be on time; to care so deeply about herself; to draw on something deeper, when the well seems dry; to quiet the little voice in her head (the one we all know so well), that says "I can't," and to keep working; to have and to know self-discipline; to set a goal, meet it, and set another one; to have something that is just for her; to find her own voice; to have the strength to stand up for what she feels, even in the face of her parents' and her coaches' disapproval--to do what her soul drives her to do--and to walk away from it all with her head held high, confident in her decision, self-assured, and proud, fearless. I can assure you, concerned parent, that you will have ups and downs, struggles, challenges, confusion, doubts, anger, and almost definitely some tears (yours and your child's) throughout your experience in Rhythmic Gymnastics, but is that not what life is all about--a journey through yourself? The coaches at Rhythmic Academy are truly world-class. That is undeniable. 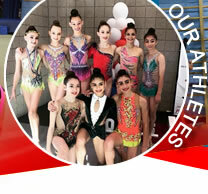 The owners of Rhythmic Academy are loving, caring, and deeply committed to the young ladies who are entrusted to them. Do not expect perfect. Life is messy, but if this sport is for your family--and that is a question you, reader, must ask yourself without judgement--you could not find a better place for your child. My girls are beginners at Rhythmic Gymnastics LA. They love their classes and their instructors. From my observation, there is an expectation that the girls do their best and although the classes can be intensive, the instructors bring a balance of being stern and knowing when to give hugs. Overall, I'm in awe of what these girls are doing and achieving. They are amazing! The owner is a good guy. He's always attentive to my questions and concerns. If you're interested in rythmic gymnastics or transferring from another gym, I can confidently say, "Rythmic Academy is the best place to go!" 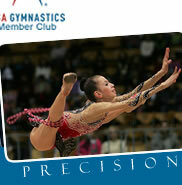 Great gym for girls who want to train to be the best gymnasts they can be. Coaching is world class. The gym itself is unassuming but spacious. There is free parking and 2 ballet rooms for kids to train in. There is also a parent area, where you can sit and chat and watch girls on the giant monitor. You can always see what is going on, without getting the way of the coaching process. Girls are taught a strong work ethic from a young age and develop great character and self discipline from daily, routine practice. This is not a bouncy place but a serious athletic training facility and they know exactly how to do that with kids, even starting at a young age. Prices can be cheaper than childcare! And your daughter will learn some valuable traits along the way which are priceless. The best part is honestly the holidays, when the owners go all out to decorate and make every kid feel special and celebrate as a part of the club. 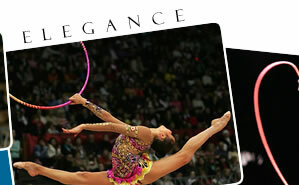 They do special dances, routines and ballet performances that are just magical. I do love Rhythmic Academy and I can see the difference in maturity and growth since she began to train here. There are different coaches who have different strengths and over time, your child will find her place as she grows into a gymnast. Plus the owners are always there to guide kids and parents into the right training level and path. The coaches are all well qualified and every one of them loves working with kids in this sport. 5 stars for the best rhythmic school in the valley!